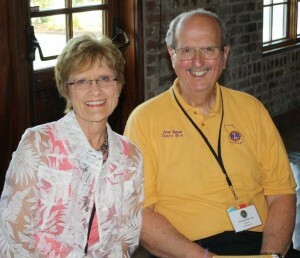 DG Alan Bethel elected at Georgia Lions State Convention to serve as Council Chair for Multi-District 18 | Roswell Lions Club, Inc.
At the State Convention in Savannah last month, our own DG Alan was elected to serve as Council Chair for 2012-2013. Our district is well-represented on the state level. DG Alan is succeeding CC Kenneth Moore, who is also from 18A. DG Alan served 18A well during the past year, and is certain to guide the Lions of Georgia through the redistricting process during the coming year. Congratulations to DG Alan on his new position. This entry was posted in News and tagged Alan Bethel, Council Chair, Georgia Lions State Convention, MD18. Bookmark the permalink.